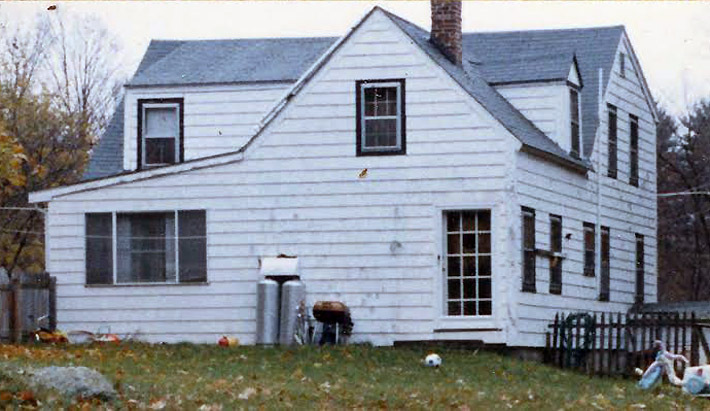 For several years, I’ve worked on an old house in North Reading. The house is not on any historic registers, not even the town site, but the post and beam construction in the front section, joined together with tree nails (aka “trunnels”) suggests that it may date back to the 18th Century. At some point, a wing was added on to the rear, perhaps another old building that was moved to the site and tacked on, judging from the irregular floors. All sections of the house have post and beam construction and low ceilings, suggesting an early construction date. 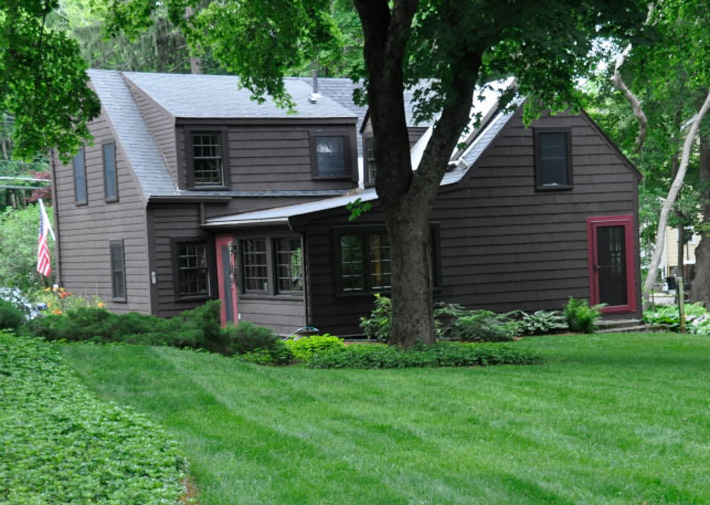 Generations of owners have added their own touches to this cozy and unique home, including a full-width shed dormer in the front, smaller gable dormers in the rear section, and a side porch. 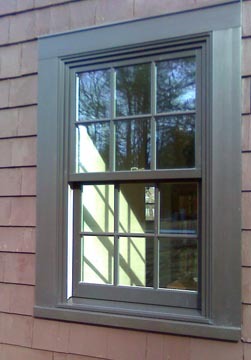 The new Andersen Architectural Series windows with snap-on casings. 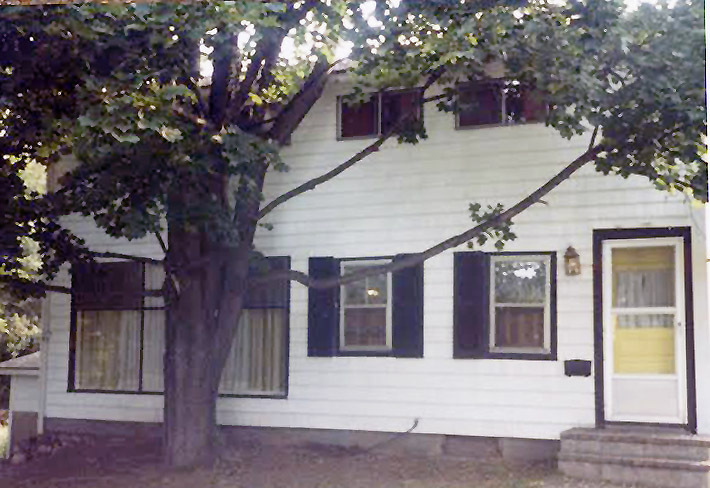 One of the first things we did to this house was install Andersen architectural windows, replacing a mix of old wooden sashes stuck in hand-made frames, a few old Andersen 200 series windows, and some vinyl replacements. Many of the rough openings in this old house had no headers or sills–the window openings were for the most part just holes in the wall. I added the missing framing before installing the windows. Andersen’s pre-manufactured exterior casings offer several appearance options, from the brick molding of the 50’s to wider 4″ traditional casing shown here. Assembled and applied in the factory, the casings are easily removed for installation, held in place by a hooked extension on the wide nailing fins. 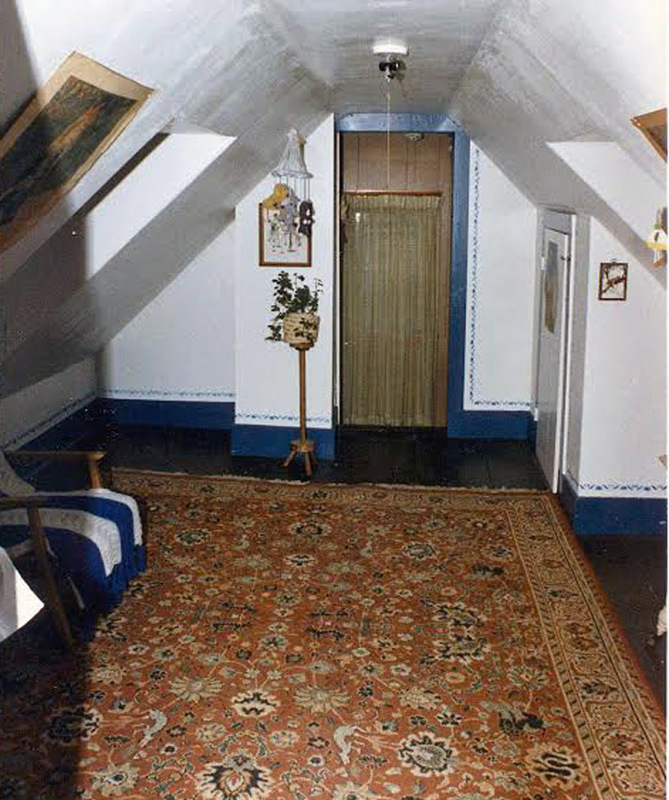 The rear upstairs attic room connects to the front bedroom, and may have been an old building that was moved to the site and joined to the front. The upstairs room in the rear ell was a challenging project, with its intersection of old roof lines, gables, dormers, valleys, seriously out of plumb walls and a rolling floor. There was no such thing as square or level and I had to measure the angle of every board I put up. The end result was fascinating! The intersection of the roof line and dormer walls create the unusual ceiling shapes in the photo. 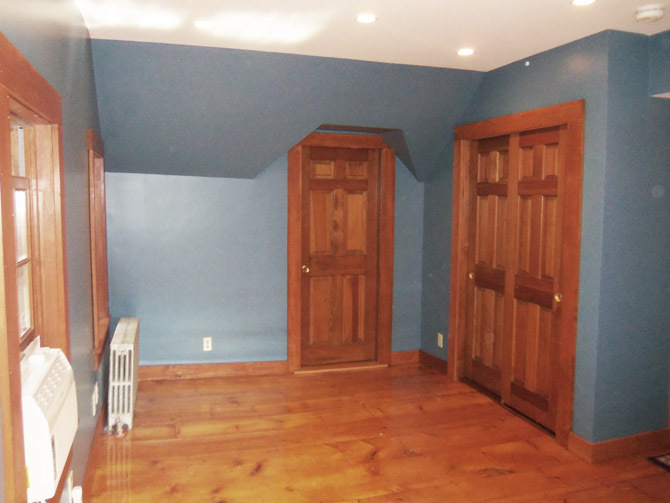 The front door of the room leads to the original part of the house and the rear door exits to the back stairway. The front stairs were the next project. They are narrow and steep, and the carpenter apparently didn’t own a square or level. Every step meets the stringers at a slightly different angle, but he just cut every step square regardless of the gaps. Fortunately when he determined the rise of each step he also underestimated the bottom one and left a large top rise. This made it possible for me to encapsulate those old steps with new risers and treads. There was no room to expand or widen the stairway, but making each step consistent and adding a 7/8″ nose definitely made the stairs feel safer. You can see in the picture that I’ve added a slight molding detail that defines the top of the stringers. Drywall had been installed over the old plaster a few years ago, in line with the top of the stringers. Here’s what they looked like in 1985. The new oak stairs have a proper run and rise, accomplished by turning and extending three steps into the kitchen area, cutting out some of the ceiling, and separating them from the refrigerator with a new wall. A previous owner had attempted to turn the rear stairs through the kitchen wall rather than out a now non-existent back door. Apparently the 19th Century carpenter did not know how to build winders, so instead he created box-like steps which a later owner covered in ugly green shag carpeting. The trick to not falling down these stairs was to step down to the box on the right, then step to the left, then squeeze down the final three steps. Otherwise you could fall three feet from the middle of the stairs to the kitchen floor. I’ve never seen such bad stair planning in my life. 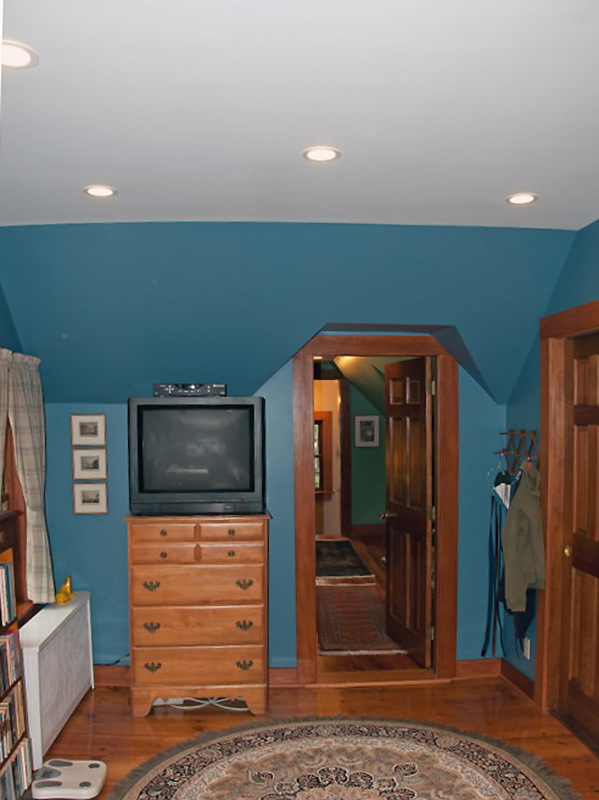 The solution was to gain some space by opening the kitchen ceiling a bit to add headroom for a couple of lower steps, build proper winders at the turn, and recess the doorway at the top landing so you didn’t step out first onto a dangerous step. 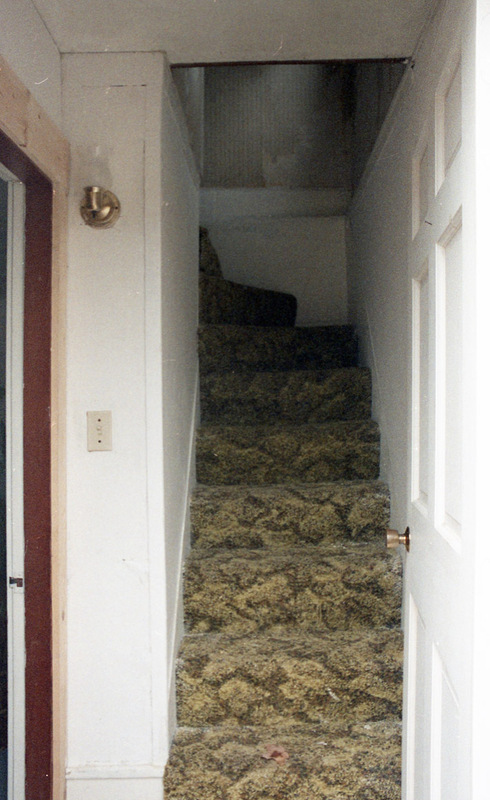 As it turned out, the only things holding the old stairs together were the staples in that old shag carpeting! We went from a very dangerous situation to nice oak stairs with an excellent 10″ run and 7 1/2″ rise. I don’t have a good “before” picture of the rear stairs, only a photo of the cut I made in the kitchen wall and ceiling where they intersect the rear stairway, in order to create sufficient headroom for the steps below the winders. When I pulled the insulation out I saw that the post that should be holding up this beam had separated and dropped an inch.That required a trip to the basement, where I carefully jacked up the beam under that wall and added a support post to keep it there. In the summer of 2015 we started on the front master bedroom. Dormers had been added in the 20th Century, but the ceiling height was only 6’7″. We removed the so-called ceiling joists (three 2×6 boards tacked onto 1×6 boards), and about a foot of blown-in cellulose insulation. The photo below shows the room after we framed the ceiling to 8′ (in the middle). You can see the old ceiling line above the closet doorway. 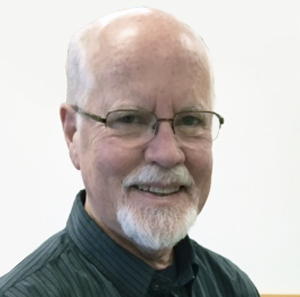 In the background is the room shown at the beginning of this post. Upstairs master bedroom before renovation. The textured ceilings were 6′ 7″. This room had been freshened up when the owner moved in 25 years ago and was the last item on our remodeling agenda. 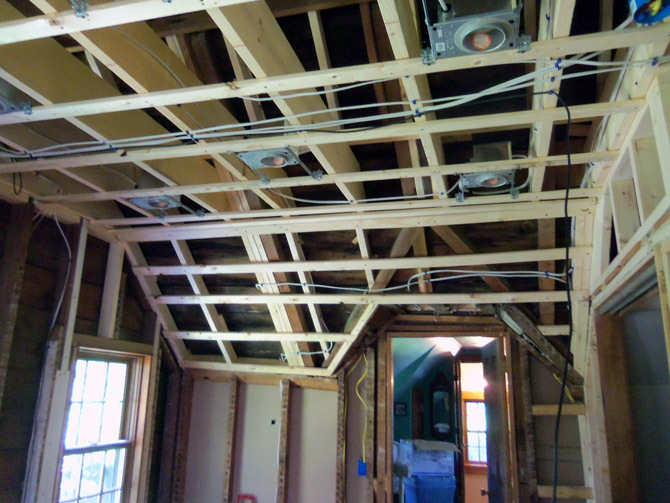 The room was gutted, and we removed the old ceiling joists, which were just some 3/4″ boards badly nailed together and suspended from the ceiling. The rafters are only 4″ thick and were spaced as much as 30″ apart. There were no collar ties either! We were able to install additional rafters, and the new joists extend the length of the room, bolted into the rafters. 10″ joists accommodate R-30 insulation, which is required in the building code for attics. We finished the renovation on September 2, 2015. The ceiling and walls are plaster, the original floor boards have been refinished, the wiring has been brought up to date, and the old ranch casings were replaced with flat 3/4″ x 4 1/2″ pine, stained to match the Andersen windows. 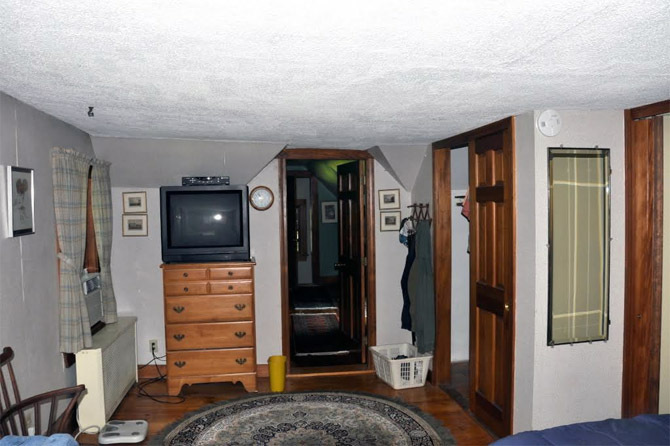 The owner is has happily moved back into his bedroom, with headroom to spare! This building was part of the historic Eaton homestead which dates to 1768. 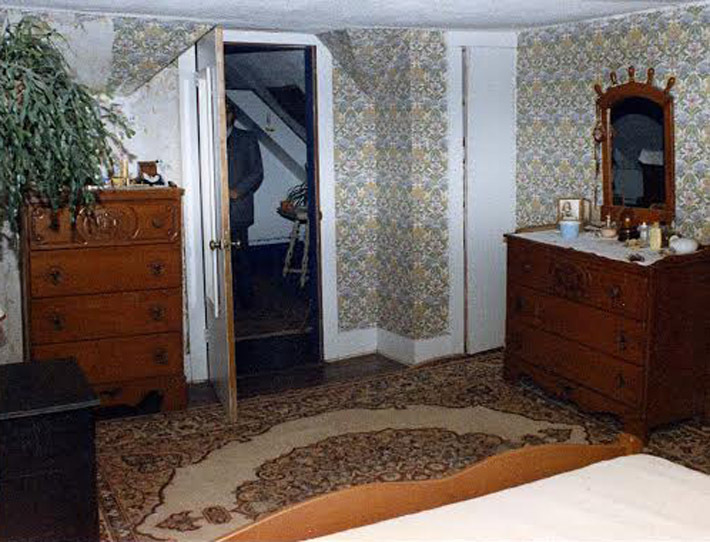 The front right downstairs room is much older than the rest of the house and was probably originally an outbuilding on the farm of Captain Thomas Eaton I and II. Captain Thomas Eaton Jr. died at the age of eighty-six, on December 4, 1829. His wife and widow Joanna, died three months later, on March 8, 1830, at the age of eighty- three. Their son George Washington Eaton, then forty-eight yrs. old, came into possession of the farm, consisting of the family dwelling at the corner of Washington and Park Streets, a barn, shoe shop, three adjoining sheds, house lot, barn lot, and forty acres of meadow, pasture, and wood lot. The earliest record of this house is in April of 1861 when it was transferred from Warren Eaton to Sarah Randolph. The house by that time had acquired its current dimensions but the lot was only 1/4 acre. The house to the left was Sylvester Eaton’s shoe shop in the 1889 North Reading map. 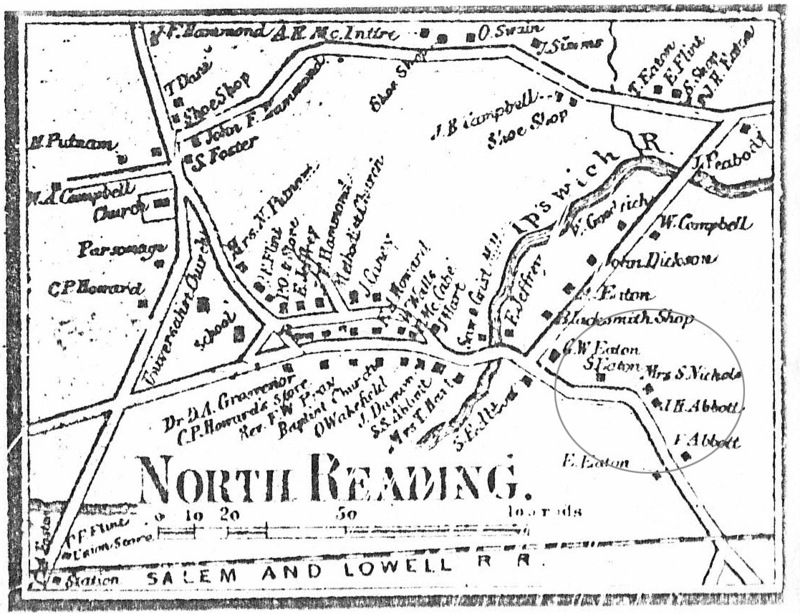 The surrounding property remained in the possession of Warren Eaton in the 1875 North Reading map and the 1889 map. William Reed bought the house in 1872 and sold it in 1876. Closeup of the Eaton homestead in the 1856 North Reading map. It appears to show the occupant or owner as Mrs. S. Nichols. Deed records show that in April of 1861 it was transferred from Warren Eaton to Sarah Randolph. 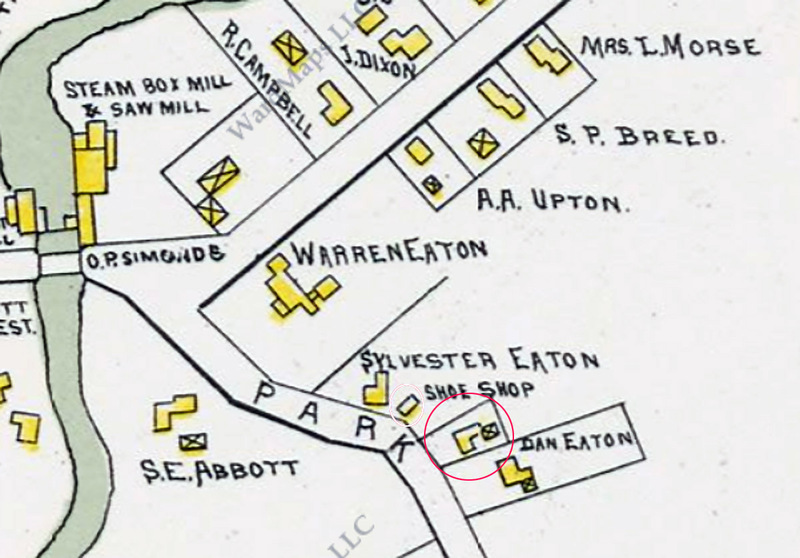 The house is circled in the 1889 North Reading map showing the Easton property with this unnamed building between the shoe shop and the home of Dan Eaton. George Washington Eaton Sr was the brother of Warren Eaton who owned the adjoining property in the 1875 and 1889 map. →Son of John Eaton Sr. (1667 – 1754) and Elizabeth (Kendall) Eaton of Reading. →Son of William Eaton (1635 – 1695) Birth: 20 December 1635 Watertown. Death: 17 December 1695 Reading, and Martha (Jenkins) Eaton. →Son of William Eaton (1607 – 1673) who arrived in New England during the Puritan Great Migration and settled in Reading in 1643.